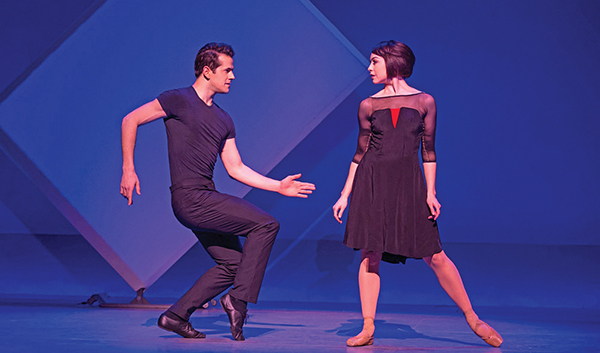 Robert Fairchild and Leanne Cope in ‘An American in Paris’ at Ogunquit Playhouse. Jews struggled to cope – with Third Reich Berlin and post-Holocaust Paris – in some of the year’s best theater productions. Jewish characters ranged from a fruit seller, to a piano-playing war veteran, to a tenacious boxing manager. “Between Riverside and Crazy” – SpeakEasy Stage Company: Diversity beautifully rendered in a strong ensemble. “Cabaret” – Moonbox Productions: Chillingly fresh take on the landmark Kander and Ebb musical centered on Weimar decadence and Nazi-accepting Berlin. The no-applause curtain (as the musical decries the approaching Holocaust) was the most powerfully disturbing Hub theater moment in many years. “Dancing at Lughnasa” – Gloucester Stage Company: A cast including Lindsay Crouse and Jenny Israel caught the music of Brian Friel’s masterwork. “Fun Home” – SpeakEasy Stage Company: Rite of passage and family tension – especially between a closeted father and his lesbian daughter – hauntingly evoked. “Hype Man” –Company One: This undaunted troupe forcefully captured the insight of Idris Goodwin’s striking play about music, friendship, and diversity. “Les Liaisons Dangereuses” – Nora Theatre Company: A stellar gender-bending ensemble – including Greg Maraio and Eddie Shields – examined this drama set in France before the revolution with new immediacy. “Love! Valour! Compassion!” – Zeitgeist Stage Company: A poignant revival of the Terrence McNally modern classic. “Ripe Frenzy” – New Repertory Theatre: Timely and trenchant staging of “Our Town” offspring. “The Last Act” – Israeli Stage: Emerson alumnus Guy Ben-Aharon’s taut staging of this provocative Joshua Sobol drama dealing strikingly with the conflict between Israel and the Palestinians. “The Wiz” – Lyric Stage Company of Boston: A superb ensemble eased on down the road of this snappy Tony Award musical with high energy. “An American in Paris” – Ogunquit Playhouse: Arguably the most exciting musical revival of the year. “Anything Goes” – Reagle Music Theatre: Vibrant vocals from Leigh Barrett and especially Jared Troilo. “The Niceties” – Huntington Theatre Company: Possibly the year’s best verbal fireworks. “Lost Laughs: The Slapstick Tragedy of Fatty Arbuckle” – Merrimack Repertory Theatre: A new look at the underrated title silent film star. “Mame” – North Shore Music Theatre: The Jerry Herman musical banquet, beautifully served. 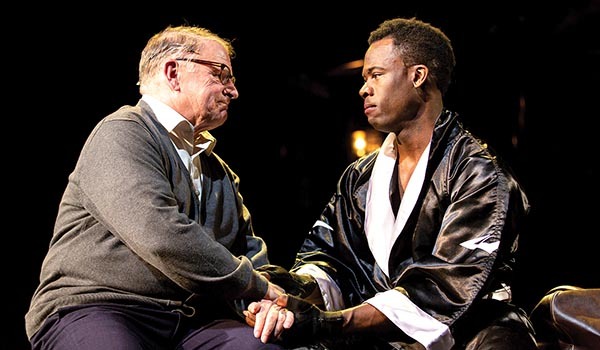 “Man in the Ring” – Huntington Theatre Company: The standout play production of the year and arguably the best effort of 2018. John Douglas Thompson proved both majestic and hauntingly sad as six-time boxing champion Emile (Griffith), while Kyle Vincent Terry sharply evoked Young Emile’s inner emotional bouts and ring sparring. Gordon Clapp caught the mentoring drive and tenacity of Griffith’s Jewish manager, Howie Albert. “Moulin Rouge” – Emerson Colonial Theatre: This splashy new musical gave the beautifully renovated Emerson Colonial Theatre an auspicious reopening. Danny Burstein had all of the panache of impresario Harold Zidler. “Ragtime” – Trinity Repertory Company: An arrestingly no-frills but superbly sung revival of this musical celebration of American diversity. Wilkie Ferguson III had all the charisma and fire of African-American pianist Coalhouse Walker, while Charlie Thurston caught the professional determination and parental devotion of Jewish immigrant filmmaker Tateh. “Richard III” – Common­wealth Shakespeare Company: Stunning look at a British monarch’s fake news and heart-wrenching subtext about concurrent damage to women and children.  “The White Card” – American Repertory Theatre and Arts Emerson: Strong exchanges about white and black perceptions as well as prejudice and political correctness.